Our team at Spoon is always up for the challenge of making food better than the items we find at the grocery store. 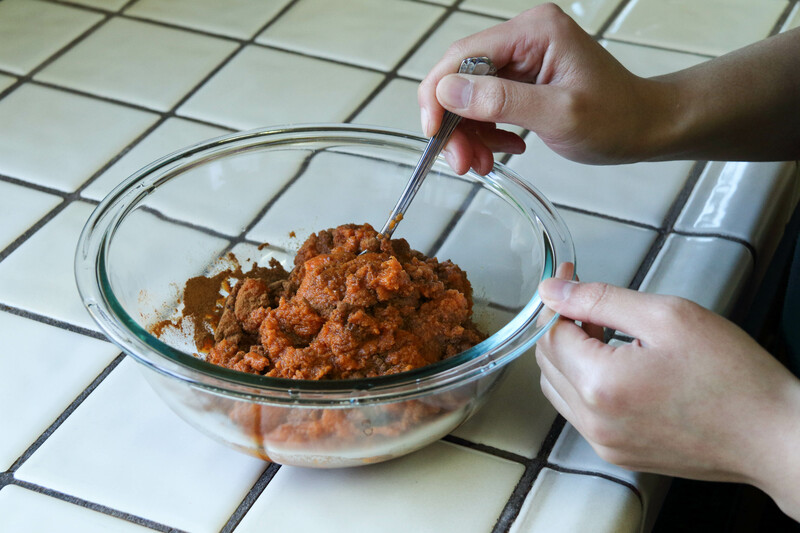 During the holidays, when we have access to our large, spacious and clean kitchens back at home, there’s no doubt about it — we’re not going back to school until we’ve tried out a new recipe. Last year, we treated our families to our Chicken Pot Pie, and this year, we got the ball rolling early when we learned to make Cranberry, Brie and Caramelized Onion Tartlets in our apartments. 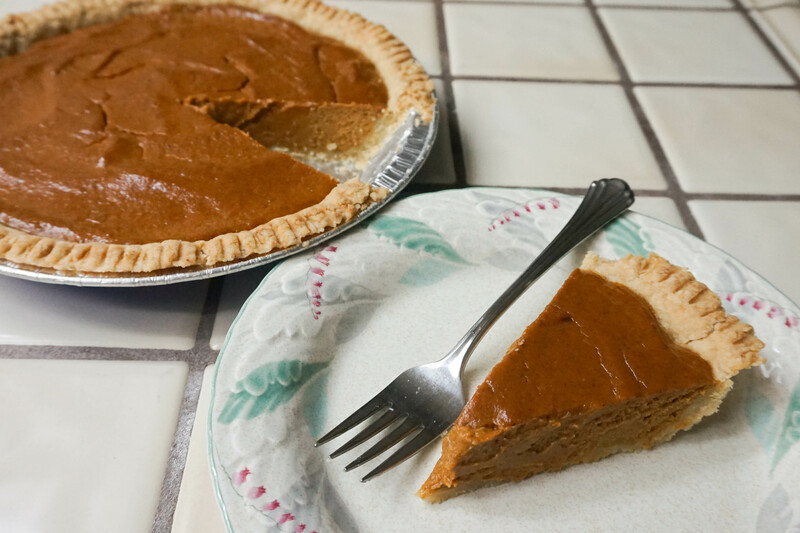 When we got home this year, we decided to tackle one of the ultimate holiday desserts: pumpkin pie. 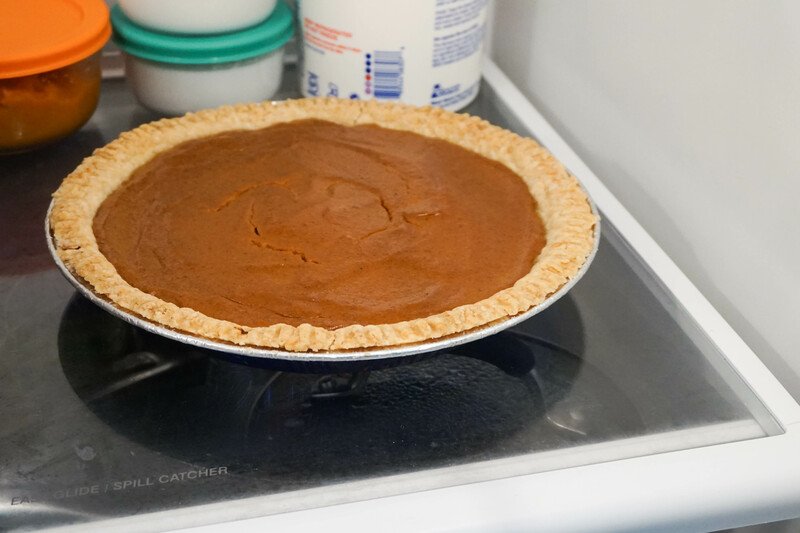 Even if you’ve never made pie before, don’t be daunted. We’ve kept this pie (and its ingredients) as simple as possible to maximize your success rate so you can impress your family. Trust us — this pie is so tasty, even we have a hard time remembering how healthy it is. 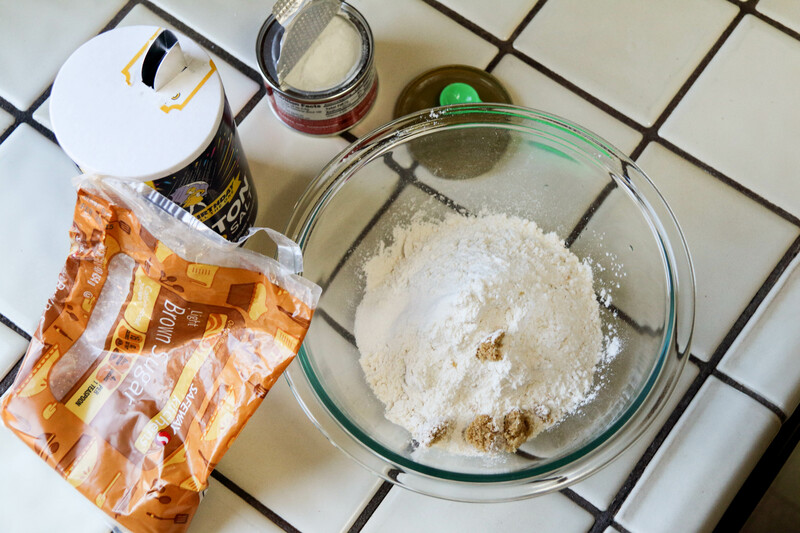 Combine flour, salt, sugar, and baking powder. Whisk together. 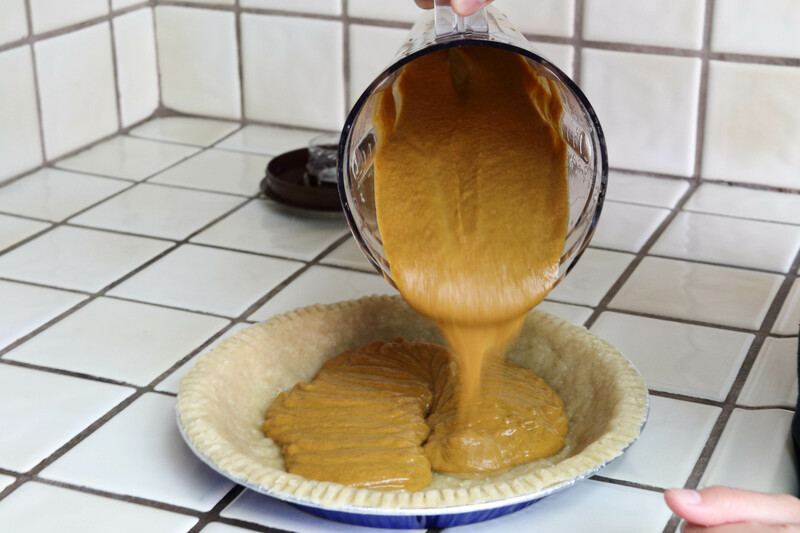 #SpoonTip: For maximum efficiency, complete steps 1-3 of pumpkin pie filling before beginning pie crust. In a separate bowl, combine oil, and milk. Whisk together. 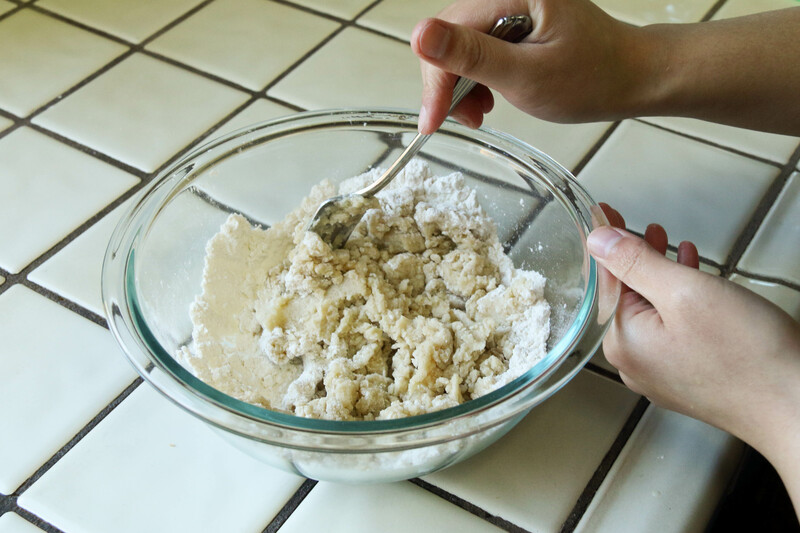 Add wet ingredients to dry ingredients and combine with a fork until dough is moistened evenly. 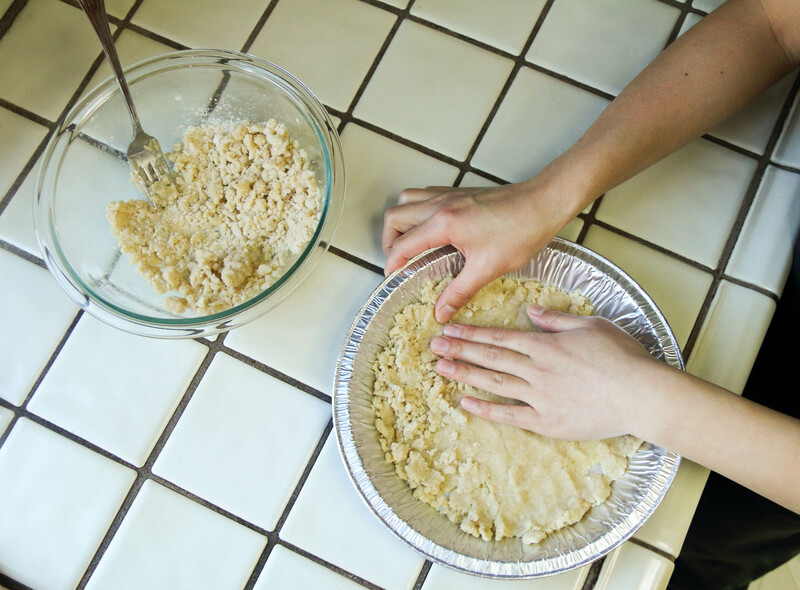 Transfer dough to pie pan and flatten. 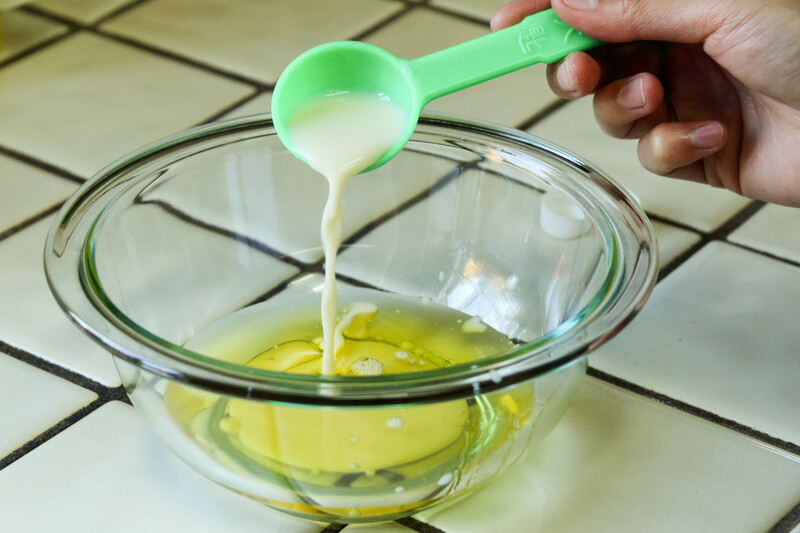 #SpoonTip: Use a measuring cup to help flatten the bottom. Combine cinnamon, nutmeg, and pumpkin. 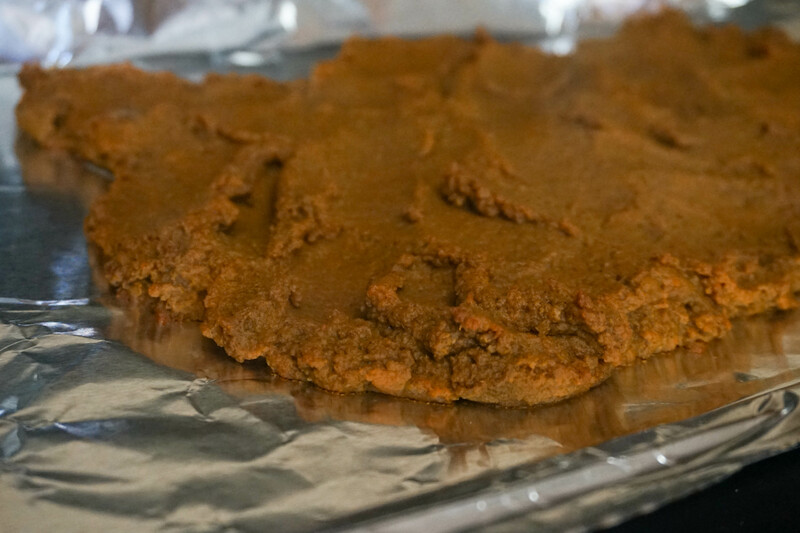 Spread seasoned pumpkin purée on a baking sheet. Bake until the edges begin to dry and the pumpkin color darkens (about 15 minutes). 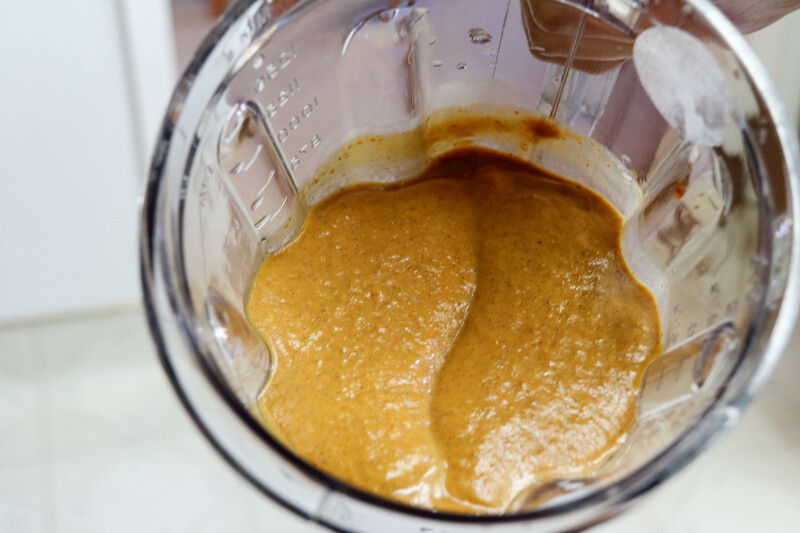 Combine roasted pumpkin with remaining ingredients in a blender. Blend until smooth. #SpoonTip: Taste and adjust seasonings now. 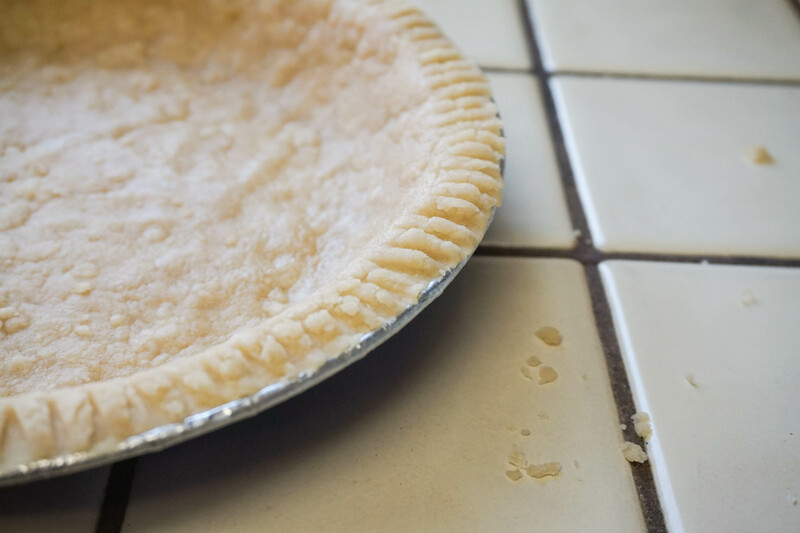 If you’re scared of a peeing pie, air on the side of caution when adding milk. You can always add more later and re-blend the mixture. Pour filling into the pie crust and bake for 45 minutes. When finished, the filling will jiggle a bit. Remove from oven and let cool to room temperature. Place in fridge for 2 hours to set. 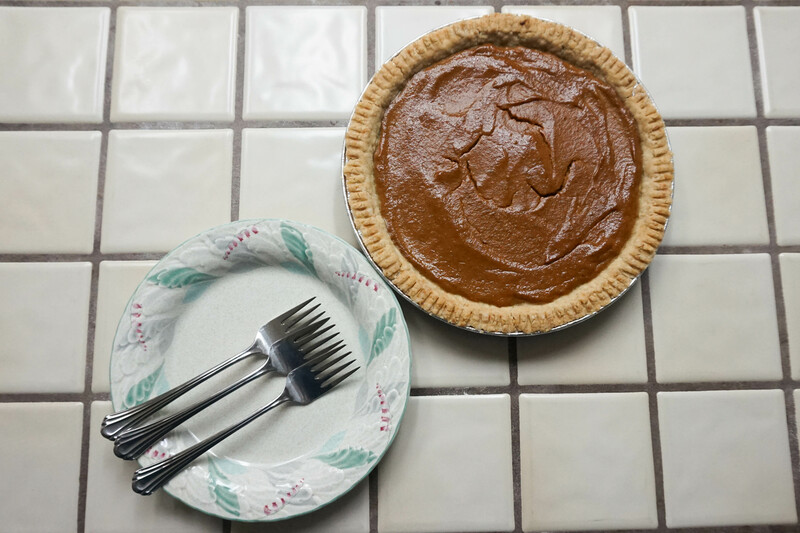 #SpoonTip: Don’t try to rush through the setting process by placing the pie in the freezer — it will alter its texture.